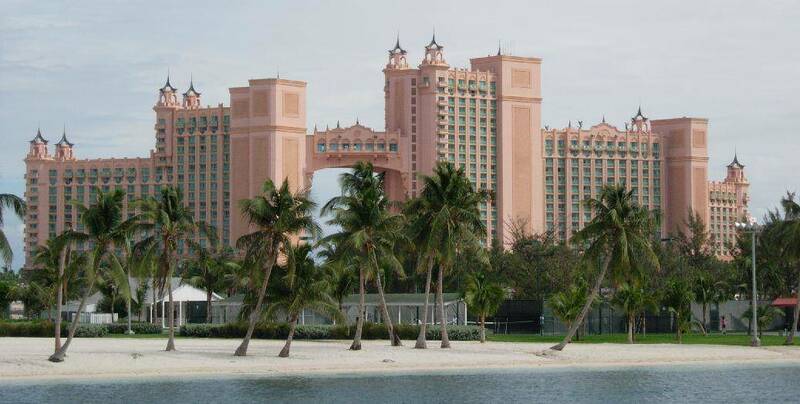 Atlantis Hotel Bahamas taken by Colin Robinson October 2005. I manage my email a similar way as I manage my inbound telephone calls. I like to think of it as training people who email me. One of the best ways you can do this is by responding to email at certain times of the day and not when they arrive in your inbox. You may think its super-efficient to reply to emails when they arrive in your inbox, but in reality you’re training people who email you to email you more often as you’re making yourself that much more accessible. I once worked for a manager who thought that responding to emails immediately was super-efficient. Each time he heard the ding from Outlook or his phone beeped he would stop whatever he’s doing to check that new email message. Yes, I know its human nature. We all have a natural desire to see whose contacting us as we like to feel important. But don’t do it, your multitasking and multitasking is not working efficiently. I had many discussions with my manager at the time about this, some of which are were heated. But as he continued on this path, he wanted people who work for him to work the same way. He ended up becoming an ineffective micro-manager as he was concentrating on the small details and not the bigger picture. He became totally ineffective, disliked and eventually he was let go from the company. On the flip side of things, each time you receive an email and you immediately respond to it you’re giving a number of impressions and these impressions may not always be good ones. The first impression you give is that you’re always available. This is bad because you’re encouraging more emails to come your way by responding to them quickly creating more work for you. As for your supervisor, you’re giving the impression that you don’t have enough work to do as you have time to respond to all these emails quickly. So in a nutshell, the quicker you respond to emails the more emails you receive, and the more emails you receive the more emails you respond to the more work it creates. This does nothing but create unnecessary stress for you. Don’t respond to emails immediately. Set certain times of the day to respond to emails. I respond to emails first thing in the morning and at lunchtime and if I’m not too tired, at the end of the working day also. Switch off new email notifications in your email programs such as Outlook. Switch off new email notifications on your cell phone or better yet, don’t setup your cell phone to receive Emails in the first place. Another tactic I employ with managing email is to set up an email inbox filter. I’ve set up a filter that sends all incoming email to a separate folder (CC Folder) when my name or email address doesn’t appear in the “To:” box. This enables me to concentrate on the emails that are sent to me first before moving on to the emails where I’m only carbon copied. I also have the “three emails and you’re out” rule. If I receive and respond to three emails on the same subject from the same person, on the fourth email I pick up the phone and call. Questions and answers can be handled a lot more efficiently and effectively via a telephone call than responding to more than three emails on that same subject. If it can’t be said in three emails or less pick up the phone instead. If I find myself responding to an email immediately, then I very often use the “Delayed Delivery” option which can be found in Outlook under the options tab. I simply enter the date and time that I do not want the email to be delivered before. I usually set the date and time to my normal response time for emails. By managing your email this way you will cut down on the number of emails you receive and have to respond to. This ultimately creates more time in the day for you to concentrate on the tasks at hand and enable you to be more effective at doing your job. Excellent insights on email. I am guilty of the mindset you describe. Definitely rethinking my approach. Good travels. Thank you Bill, and thank you for looking at my site.